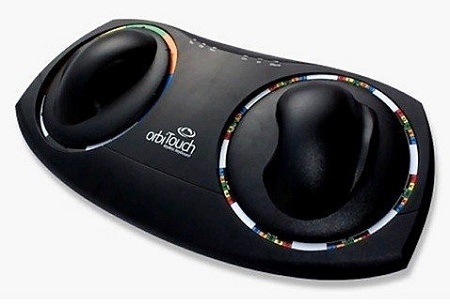 For those that view a keyboard as an impossible challenge, the orbiTouch Keyless Keyboard and Mouse might be able to help. It has 128 characters that you access by sliding the left and right domes to the correct colored area which represent a character. This will drastically reduce finger movement, and somewhat reduce wrist strain. It will obviously take a little time to get used to, but will either make typing possible for those that it wasn’t possible for before, or reduce a lot of strain on the joints in your hands. This is not going to work for everyone, but for those that it will help, it could be life-changing. Keep in mind that this is not built to make you the fastest typist in the world, so you’re likely not going to surpass 30 WPM unless you’re really gunning for it. This will cost you around $280, so it’s something you’ll want to research and weigh your options heavily on before jumping into it.